The Holman Prize will fund Ahmet Ustunel’s kayak training and the development of a non-visual guidance system for navigating the waters of the Bosphorus Strait. Today Ahmet Ustunel, 37, a blind kayaker from San Francisco, was announced as one of the three inaugural winners of the Holman Prize for Blind Ambition – an unprecedented award for blind and low vision adventurers. The other winners are Penny Melville-Brown, an avid baker from the UK, and Ojok Simon, who is planning to build out a blind-led social enterprise for beekeepers in Uganda. Ahmet, who is fully blind, is not a professional adventurer. A full-time teacher of the visually impaired, he began journeying into San Francisco Bay in a solo kayak shortly after moving to the United States from Turkey a decade ago. Yet with the $25,000 Holman Prize, he has a more ambitious goal: to paddle across the Bosphorus Strait, which divides the European region of Turkey from its Asian counterpart, completely alone. In the months leading up to this daring crossing, Ahmet will practice regularly around the Bay Area, clocking in over 500 miles and building both physical endurance and mastering the technology that is a crucial element of his journey, demonstrating the autonomy and capability of blind people along the way. He will also develop of a non-visual guidance system for crossing the Strait. 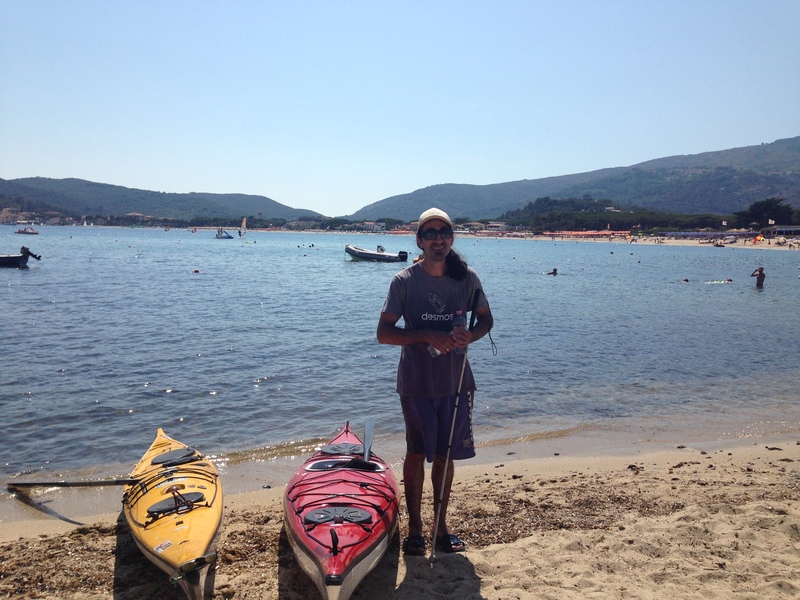 In order to ensure a safe passage, Ahmet will use a wide variety of technology on-board his kayak, including ultrasonic sensors, a talking compass, an accessible depth finder and a tracking device that will guide him to his destination. “[My project] will educate the public about how blind people can operate a vehicle in an uncontrolled environment safely and independently,” he says. The Bosphorus holds special significance for Ahmet, who grew up in Turkey: “It’s where I used to sit on a ferry dreaming about a time in the future when Blind captains and crew will roam through the Strait, and nobody will be surprised,” he says. A risky and ambitious adventure, Ahmet’s crossing has the potential to change lives around the world, proving that with the right tools and a blind-positive attitude many adventures once thought impossible for blind people are well within their grasp. Read about all three Holman Prizewinners in-depth. Holman Honorees: Meet this year’s finalists.